I recently created the concept, artwork and animation for Torchy’s taco of the month for December, The Preacher. This was the first offering of an al Pastor for Torchy’s and I wanted to make sure it stayed true to the company’s marketing spirit. — edgy, but not offensive. Here are some screenshots from a recent videoboard project for Texas Tech Football. I created a crowd pump animation for their stadium’s big board. Will post the animation here soon. For Torchy’s taco of the month campaign in August called “Some Like It Hot”, I developed a creative film-themed campaign promotion. SLIH happens every August, and each week during the month a new taco is unveiled that was hotter than the last. 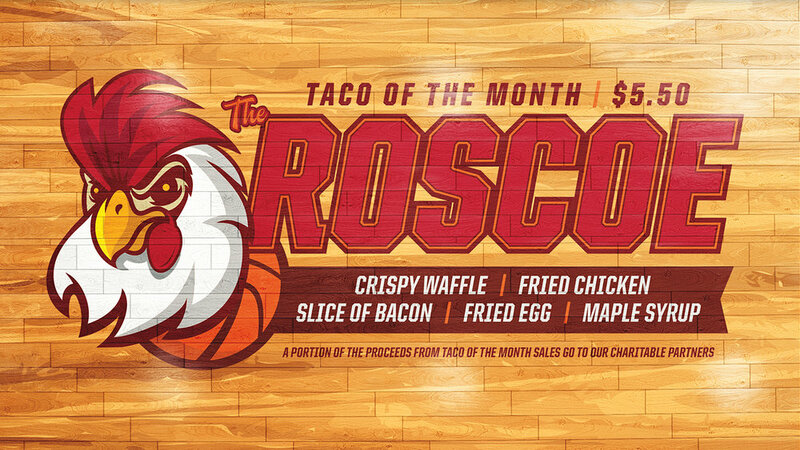 The promo utilizes the brand’s four hottest tacos for the limited run. Besides creation direction & concept creation on the project, I built and animated five quick trailers and designed two of the film posters (Barn Burner / Scalding Pig) that were featured in stores and as giveaway promotional stickers. The month-long campaign ended with a big event at Mueller Park where we teamed with Alamo Drafthouse for an outdoor showing of E.T. The campaign was a huge success and one of the most fun projects to work on with the company to date.